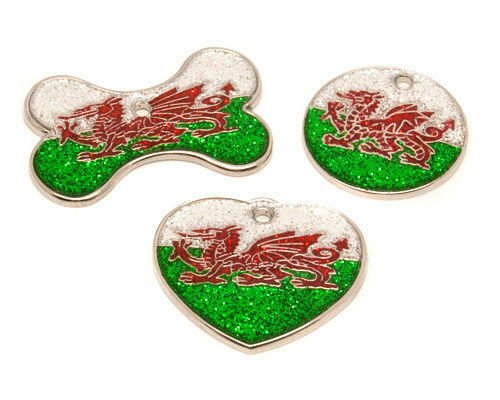 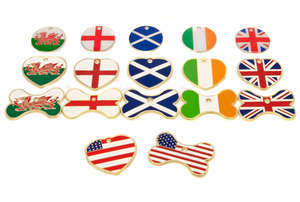 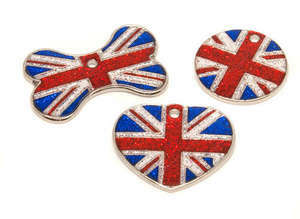 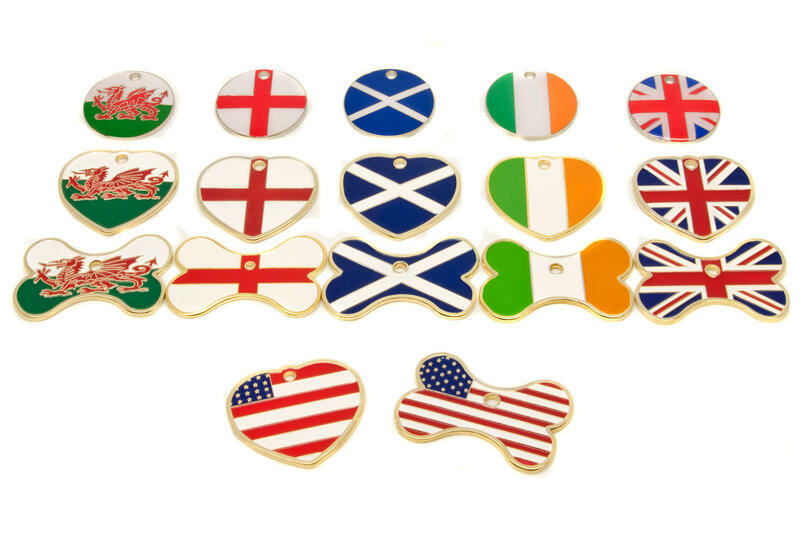 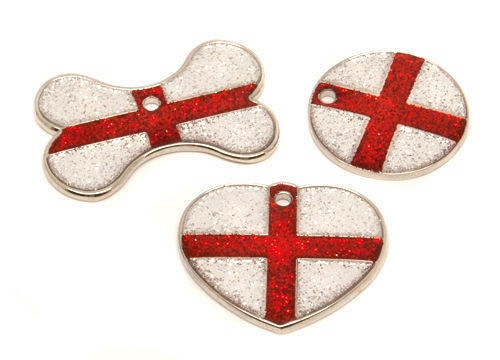 This Enamel engraved Pet ID Tag offers a high quality, hard-wearing and fashionable finish. 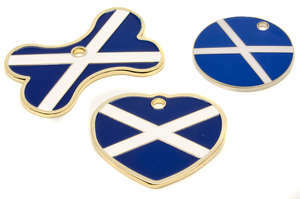 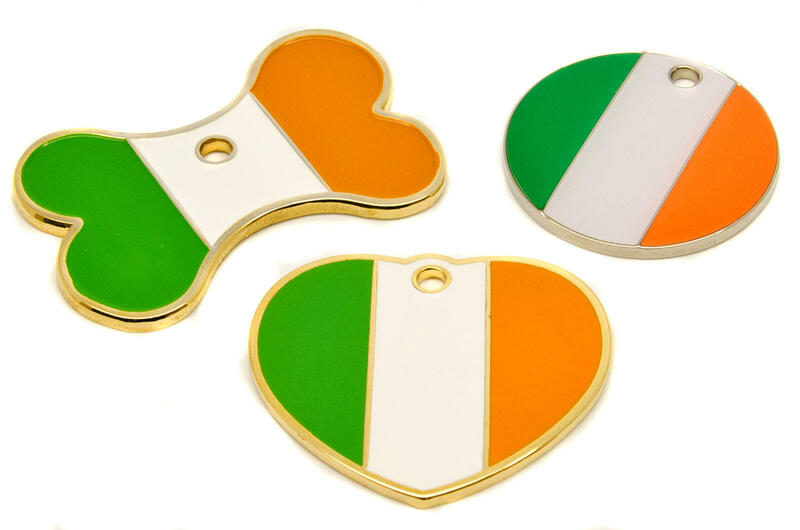 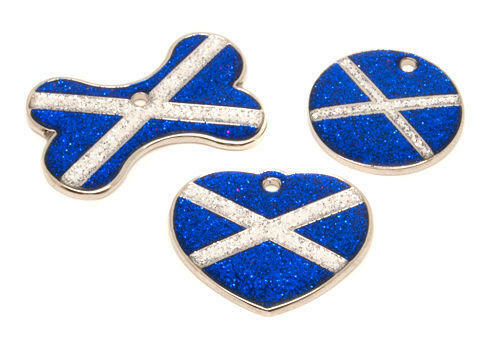 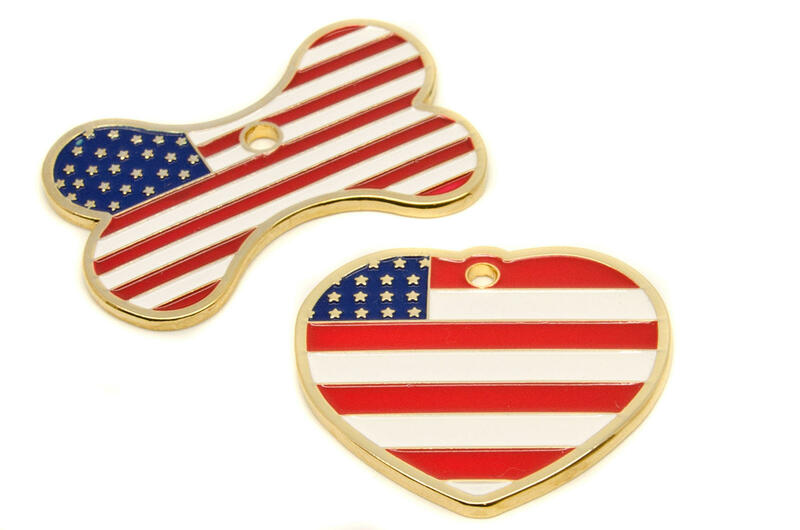 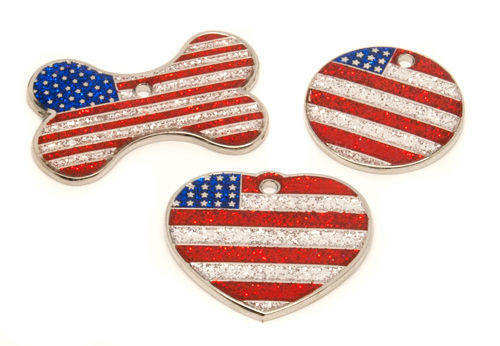 This Enamel Dog ID tag is an attractive high quality bone or heart shaped ID tag made of solid polished brass and a round disc made of solid polished nickel. 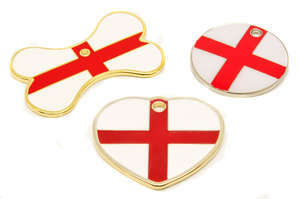 The flag on the front has been in-filled with hard-wearing coloured enamel or glitter coloured enamel. 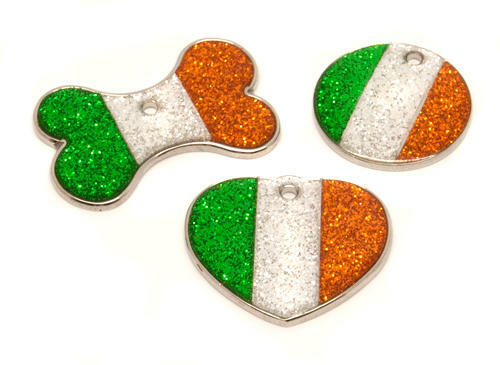 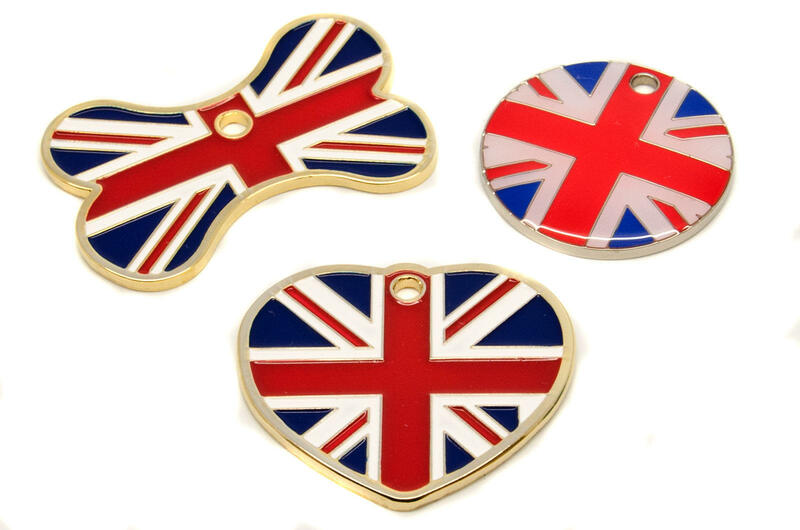 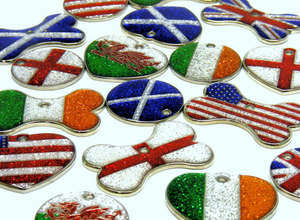 Each ID tag comes with a split ring for at.taching to your pets collar. 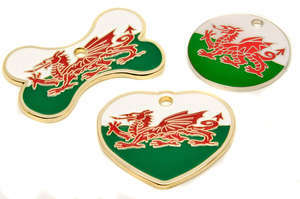 Engraving on the back only due to coating on the front. 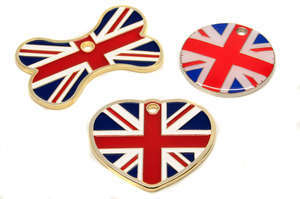 Bone: We can only engrave Name, and one phone number (or shortened address such as house number and postcode) on the bone tag due to the placement of the hole for split ring. Example: Name, Phone Number, and Address (House Number, Road and Postcode) but the choice is yours.